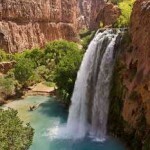 The Havasupai Tribe of Arizona, smarting from what they say was a mis-use of DNA samples taken by Arizona State University in the 1990s, have settled their dispute to the tune of $700,000. The Arizona Board of Regents in April agreed to give $700,000 to 41 of the tribe’s members, return the blood samples and provide other forms of assistance to the Havasupai. The settlement, legal experts said, was significant because it implied that the rights of research subjects can be violated when they are not fully informed about how their DNA might be used. Members of the tribe had given DNA samples to university researchers starting in 1990. The researchers said they were interested in gathering genetic clues to the tribe’s crippling rate of diabetes. 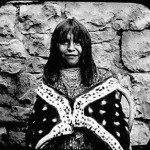 Later, Havasupai members learned that their blood samples had been used to study mental illness, theories of the tribe’s geographical origins that contradict their traditional stories, and many other things. The lead researcher in the studies, Prof. Therese Markow (now at the University of California, San Diego) strongly defended her work and said she had obtained permission from the tribe for her studies. In resp0nse to the tribe’s litigation against the university, the Board of Regents spent $1.7 million fighting the lawsuits. 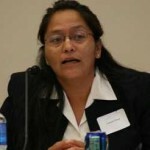 In addition to the cash settlement, key elements of the settlement include return of blood samples to the Havasupai Tribe, and collaborations between the university and the Havasupai people in areas such as health, education, economic development, and engineering planning, according to a press release from the Board of Regents. For example, the Havasupai will collaborate with ASU, the largest public research university in the United States, to seek third party funding to build a new health clinic and a high school. Havasupai Tribal Members will also be eligible for scholarships at ASU, the University of Arizona and Northern Arizona University.